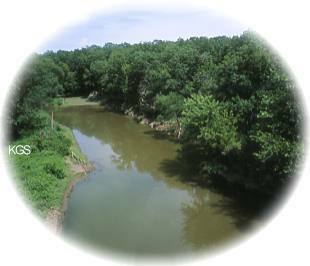 Caney, Kansas is set in a valley surrounded by the Chautauqua Hills on the West, Oklahoma Lakes (Copan and Hulah) on the South and prairie grasses on the North and East. Caney earned its name from the numerous wild cane and cane breaks that lined the banks of the Caney River. Caney is proud of its rich historical culture and has a strong historical society organization to preserve it. Beginning with the Osage Indians who hunted the grounds in 1828 to a trading post in 1869, the city has developed to a center with culture, business, recreation, and a school system with two community colleges within 20 miles. We would like for you to come and join in our community and become part of our heritage. Osage Indians frequently camped along the Little Caney River before being moved from their home in Montgomery County to current-day Osage County, Oklahoma. Chief Black Dog of the Osage tribe blazed a trail \"30 horses wide\" along the Kansas-Indian Territory border and set a camp of the Osage tribe in the Caney vicinity. A sign at Wark Memorial Park today commemorates that trail. One of Caney\'s greatest historical events was the burning of a giant gas well three miles east and one and a half miles south of Caney in 1906. The well burned for about a month and was the largest burning well on record. Excursion trains brought thousands of people to Caney to see the burning well, which could be seen visibly for a 30-mile radius from Caney. Caney began as a settlement in 1869 when Bert Amos Holland, C. E. Bagdley and J. Hardin Smith took up residence east of the Little Caney River. Other early arrivals were Dr. J. W. Bell and Jasper West, who established a small trading post and become the first postmaster of the Caney community. While many towns were started by railroads or found its start in mining and petroleum, Caney began as a trading post for people along the Kansas-Indian Territory border. Because of its proximity to the Indian Territory border, early Caney was a hotbed for orneriness on the part of rowdy cowboys and border thieves. Most notorious among the deeds were a raid by the the Barker Gang in August 1879 (one local man was killed and another was shot) and the robbery of the Caney Valley National Bank by Henry Starr in 1893. Starr, who once proclaimed that he had robbed more banks than any other notorious robber, once said that the Caney bank robbery was his first bank holdup. The infamous Doolin-Dalton gang applied their trade of robbing trains by holding up the DM&A passenger train just outside of Caney on the night of Oct. 12, 1892, only a week after their partners the Daltons were wiped out in Coffeyville, KS. Caney outlasted several neighboring towns, including Ennisville (located one and a half miles south) and St. Paul (located on the west bank of the Little Caney River). Ennisville was actually Caney\'s rival, but when federal surveyors found that it was in Indian Territory, the southern town was uprooted and moved to current-day Caney. St. Paul died a quick death as a petition to locate a school house in Caney forced residents to move to the eastern side of the river. The community was centered around a water well, located at State and Fourth Streets. J. E. Stone had a residence near that well, and much of the community\'s attention was focused on the area around that water source and the Stone residence. Eventually, the community grew from that spot. Caney found its first connection to the outside world in 1885 when the Denver, Memphis and Atlantic Railroad chugged into the community. About 15 years later, the Atchison, Topeka and Santa Fe Railroad would build north-south tracks through Caney. Caney became home in the early 1900\'s to brick plants, glass manufacturers, smelters and a small refinery. Because of the abundance of natural gas in the Caney area, industries had a plentiful supply of burnable energy. Industries were attracted not only to Caney but to many of the southeast Kansas towns that bore into the earth and found a healthy reserve of natural gas and oil. Unfortunately for those boom town days, the industries quickly folded as other parts of the Midwest found greater supplies of oil and gas. This 1889 Hotel and Stage Coach Stop was constructed from native sandstone quarried from Chochran's Hill north of Caney. The basement was used to store winter ice cut from the Caney River. Wark Memorial Park is also the location of the "Walkingstick," an old cannon of Civil War vintage which is one of fewer than 75 of its kind in the nation. The popular Truskett Opera House which was built in 1907 burned along with other businesses in 1910 having a $50,000 loss. The Caney Elk's Club acquired the opera house facilities and rebuilt a building for club use. Their "Elk's Hall"